Beatrice Edythe Ann Muenich (Bee) was born July 11, 1916 in Hammond, Indiana to Martha and Harry Hayes. She was baptized at St. John’s Lutheran Church of Hammond on August 23, 2016. In 1920, she and her brother Del were adopted by their step-father, Benjamin W. Dominick, thus taking his name. Her Baptism was affirmed through Confirmation on Easter Sunday in 1930. She was very active in the youth group, serving as Director of Music, presenting plays and singing in the choir. Bee was a graduate of Hammond Technical High school, where she enjoyed playing the French horn with the school band and orchestra. After graduation she attended business college and was employed as a reporter-bookkeeper for a local newspaper. She also worked part-time for a local florist during that time. She was joined in marriage to George R. Muenich at Trinity Lutheran Church, Hammond, Indiana, in 1938. Their marriage was blessed with two children, a son, George III and a daughter, Leilani. After World War II broke out, the Muenichs spent the next 10 years in Honolulu Hawaii at Pearl Harbor. Bee worked as a clerk at the Naval Air Station and as a reporter for the Honolulu Star Bulletin. While in Hawaii, the Muenichs were instrumental in organizing Our Redeemer Lutheran Church where they are charter members. In 1951, the family settled in Camarillo, California. After several years as a homemaker, Bee accepted a position with two local physicians, Dr. A. Muff and Dr. H. Morikone. She continued working for Dr. Morikone for 25 years before retiring. Bee is also a charter member of Peace Lutheran Church in Camarillo and held the first services for this group in her home for nine months until a mission site could be located. Bee was a faithful servant to her Lord and was active in many church-related activities, holding the offices of President, Vice-President, Secretary and Treasurer in the various churches she attended over the years. While living near Chicago, she was able to attend some of the organizational meetings of the Lutheran Women’s Missionary League in the 1940’s. She was also active in the Southern California District of the LWML at the Zone level and wrote several plays which were presented at meetings and rallys. For many years, she served as a part-time secretary for Peace Lutheran Church, also writing for the newsletter, singing in the choir, teaching Sunday School, serving as Hospitality Chairman as well as the Flower Chairman. 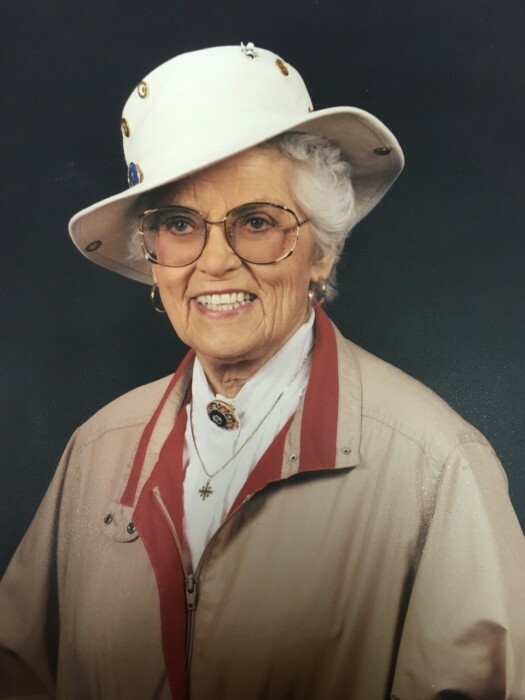 Bee was also active in her community, serving as a volunteer at the Camarillo Senior Center, the Home Sharing Office, Friends of the Library and a regular volunteer at a church-affiliated thrift store, Luther’s Attic, in Moorpark. She was a voracious reader and enjoyed traveling, spending a good deal of time in foreign countries all around the world until she lost her sight. She was well known for her beaming smile, gracious and welcoming manner, and generous, warm hugs. Known as “Oma” by her grandchildren and great-grandchildren, and “Oma Bee” by countless other children and adults. Beatrice was preceded in death by her husband, George (1986) and her son, George III (2011). She is survived by her daughter, Leilani Wood, daughter-in-law, Erika Muenich, five grandchildren: Renate Kwon (husband Byung Ho), Margaret Schaap (husband Matthew), Andrew Wood (wife Bethany), Jarrod Wood (wife Melissa), Amanda Riedy (husband Norm), and ten great-grandchildren: Thomas Kwon, Natalia Schaap, Jocelyn Schaap, Charli Wood, Connor Wood, Nathan Wood, Liam Wood, Jacob Riedy, Katie Riedy, and Ryan Riedy. Here are some suggested charities in lieu of flowers. Of course any charity of your choice would be appreciated. The volunteer division did a lot for Mom, both providing meals when she could no longer cook and a nurse who checked on her regularly even after I hired full time care. This is the church my Dad and Mom were instrumental in founding, starting out with services in their home. This is Lutheran Braille Workers, a Mo. Synod organization. They regularly sent her Portals of Prayer, The Lutheran Witness and Lutheran Womens Missionary League publications on tape for many years.